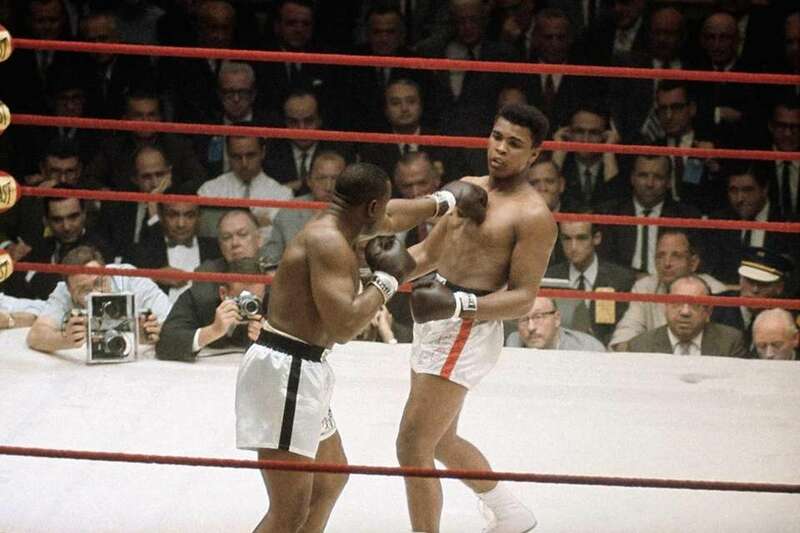 Sonny Liston was a 7-1 favorite to retain his title against the 22-year-old Cassius Clay. 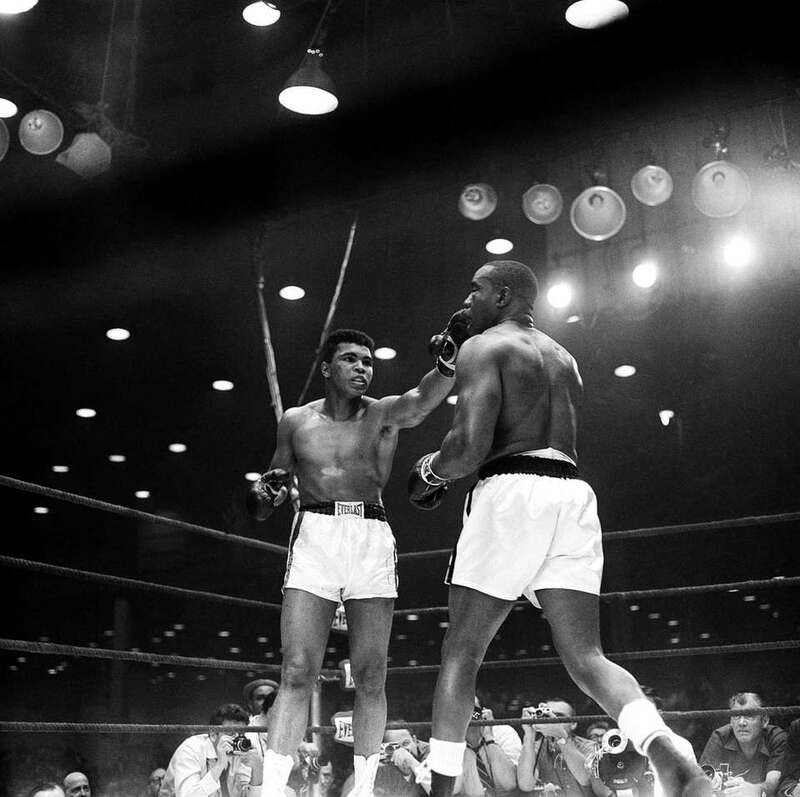 Few people thought that Clay would be able to withstand Liston's power and unyielding pressure. One of the few exceptions was Clay himself, who predicted he would dethrone Liston. It was clear early on that the challenger's speed and jab was giving Liston problems. 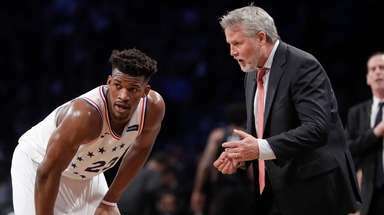 After the fourth round, Clay returned to his corner, complaining that he could not see. He instructed trainer Angelo Dundee to cut off his gloves, that he could no longer fight. 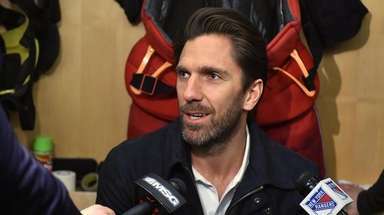 Dundee washed out his fighter's eyes and convinced him to continue. It has long been speculated by Dundee that ointment got onto Liston's gloves — perhaps intentionally — and into Clay's eyes. When the fight resumed, Clay continued outboxing the champion. Liston's right eye was badly swollen, and after the sixth round Liston refused to continue, relinquishing his title on the stool. After this fight, Clay changed his name to Muhammad Ali. 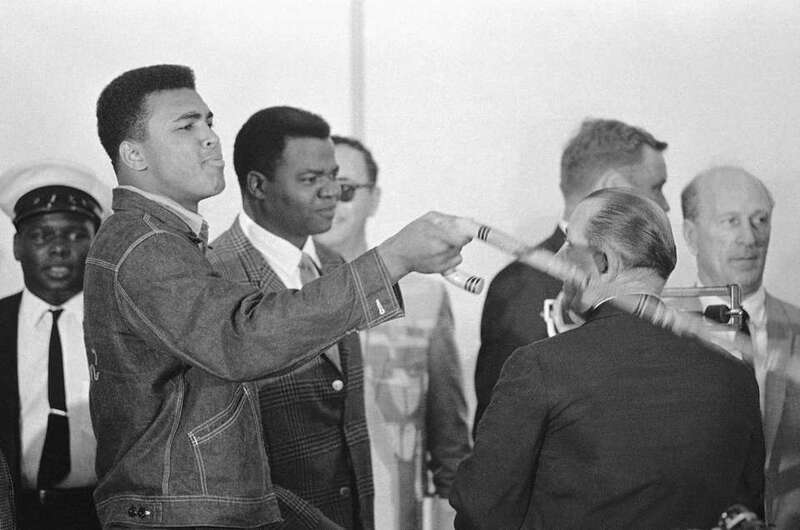 Cassius Clay waves his cane as he greeted upon his arrival at the Miami Beach Convention Hall for the official weigh-in on Feb. 25, 1964 in Miami Beach, Florida. 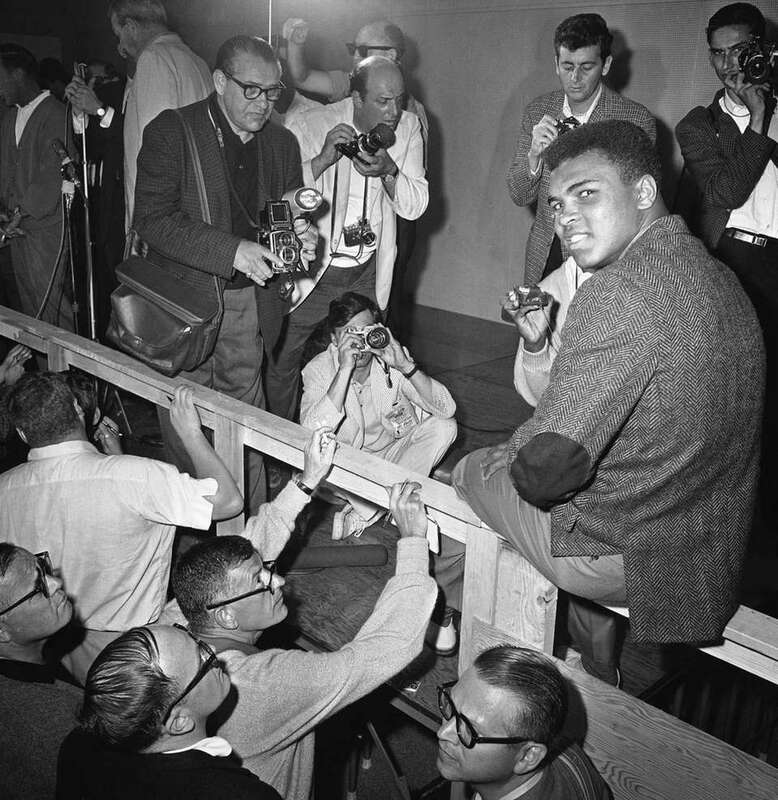 Ali arrived before heavyweight champion Sonny Liston who he meets in a 15-round title fight in the Convention Hall tonight. 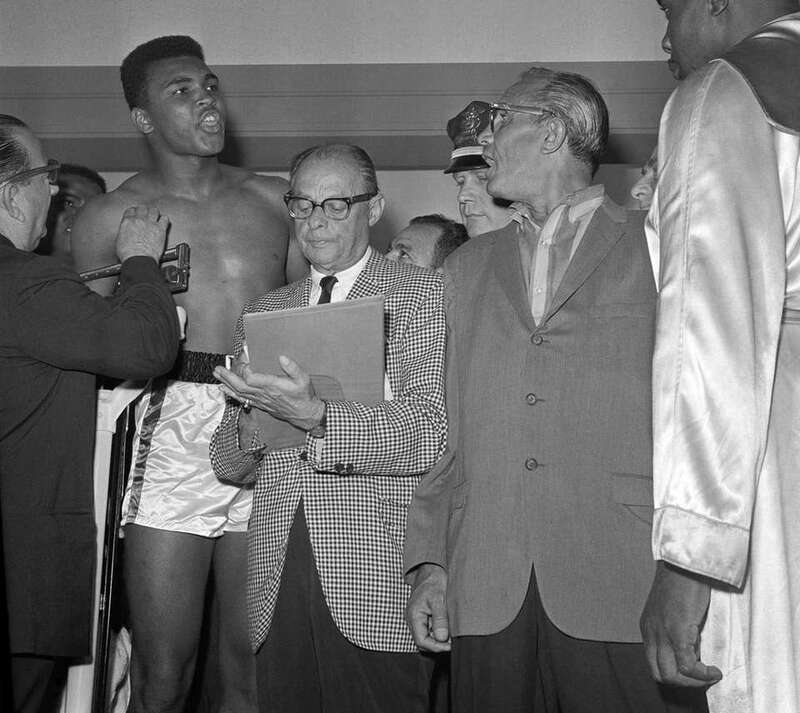 Cassius Clay, left, shouts as he stands on the scale for his weigh-in for his title fight with Heavyweight Champion Sonny Liston, right, on Feb. 25, 1964. 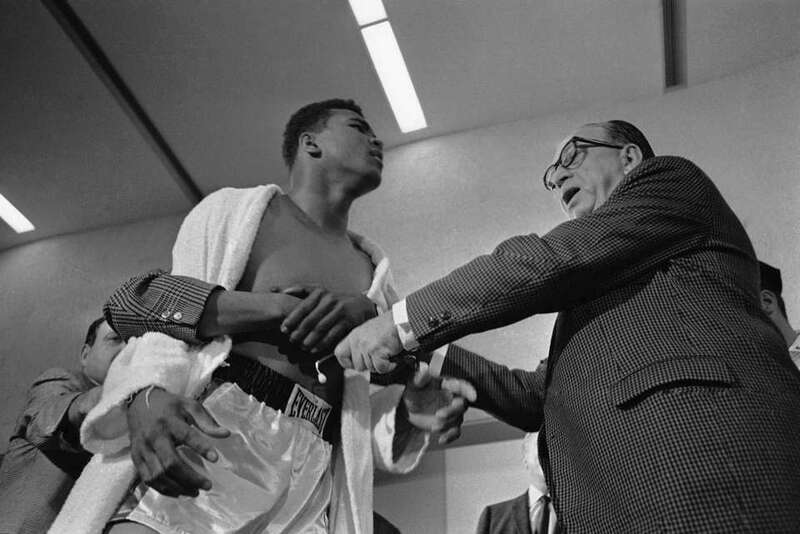 Challenger Cassius Clay has his waist encircled by arms of man behind him as Dr. Alexander Robbins, chief physician for the Liston-Clay fight, blocks him as Clay attempted to rush heavyweight champion Sonny Liston at their official weigh-in, Feb. 25, 1964 in Miami Beach. 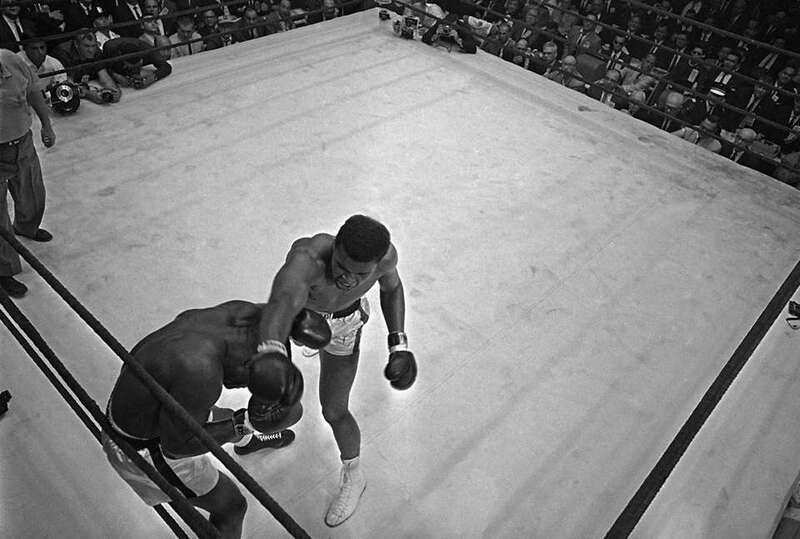 Muhammad Ali, or Cassius Clay as he was known at the time, whips a right to the head of ducking champ Sonny Liston during the first round of the heavyweight title fight in Miami Beach, Fla., Feb. 25, 1964. Champion Sonny Liston ducks under the outstretched gloves of challenger Muhammad Ali (Cassius Clay) to land a blow to the ribs in 2nd round of heavyweight title fight in Miami Beach, Fla. on Feb. 25, 1964. 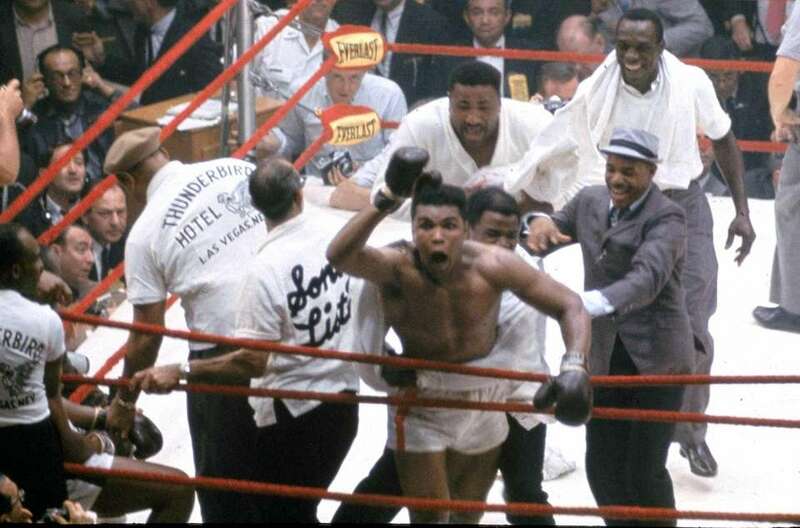 Ali, a 7-1 underdog, stopped Liston after six rounds. This is a 1964 file photo of Muhammad Ali, then known as Cassius Clay, fighting during the third round of the heavyweight championship fight against Charles "Sonny" Liston in Miami Beach, FL. This was the first time Ali took the heavyweight crown. Muhammad Ali (Cassius Clay) backs Sonny Liston into the ropes and flails away with both fists during the heavyweight championship fight in Miami Beach, Florida on Feb. 26, 1964. 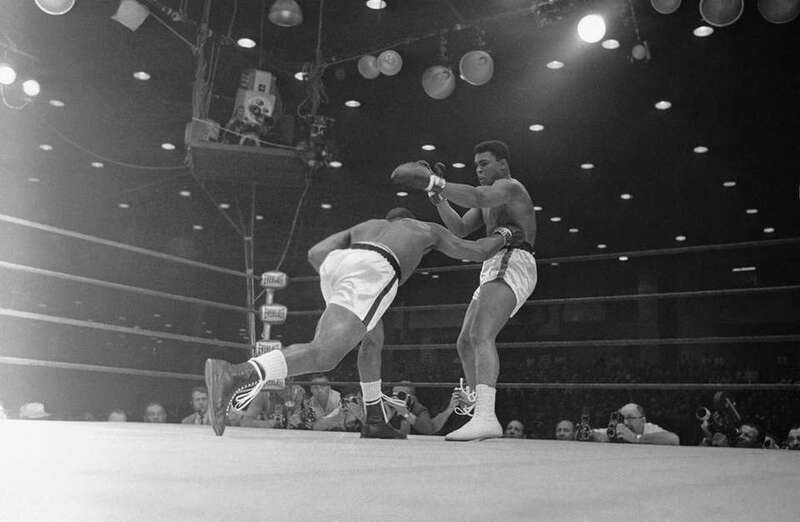 Liston, the champion, suffered a shoulder injury and failed to answer the bell for the 7th round. 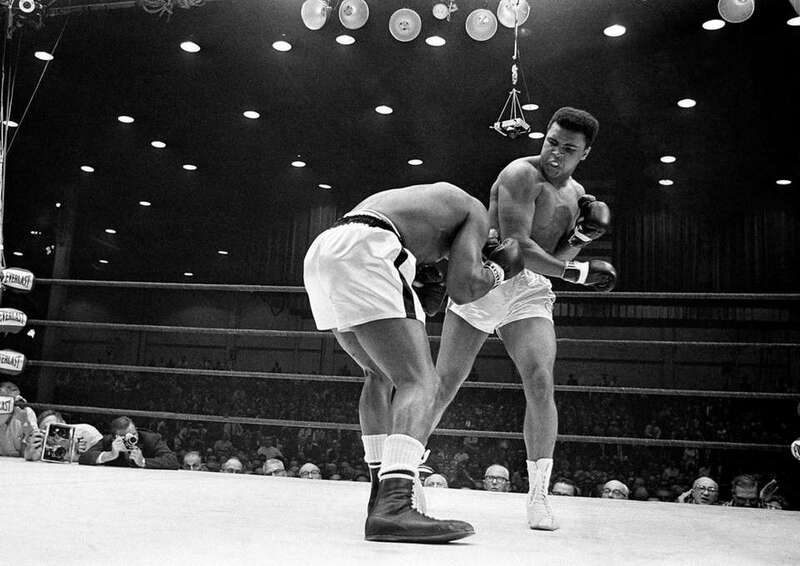 Cassius Clay, right, as he was known at the time before changing his name to Muhammad Ali, in action against Sonny Liston during the heavyweight title fight in Miami Beach, Fla., Feb. 25, 1964. Challenger Muhammad Ali, or Cassius Clay as he was known at the time, pokes a fast left jab to the face of Sonny Liston during their championship heavyweight fight in Miami Beach, Fla., Feb 25, 1964. Clay used the in and out tactics to gain a TKO in the seventh round after Liston strained a shoulder and suffered a bad gash under the left eye. 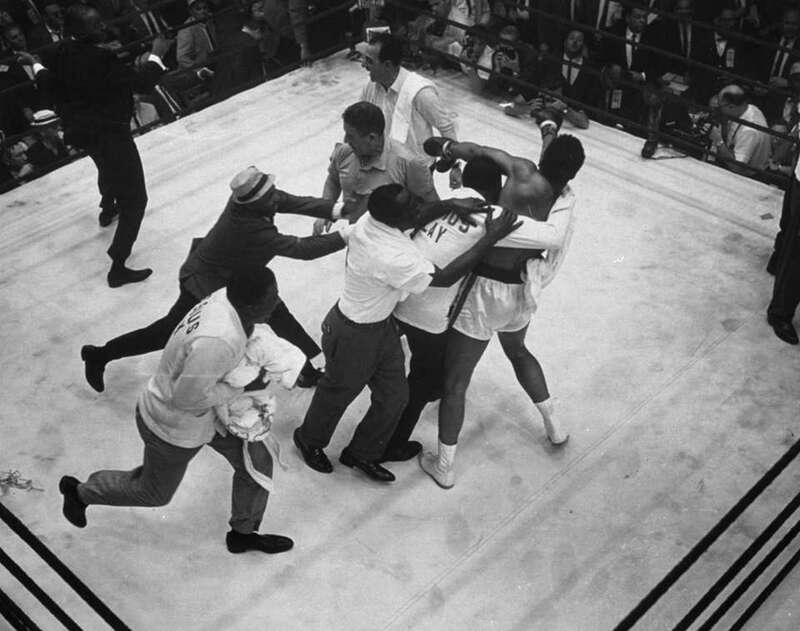 Handlers of Cassius Clay swarm over him in the ring after referee Barney Felix, top center, awarded Clay a TKO victory at the start of the 7th round in the fight with Sonny Liston in Miami Beach, Florida, February 25, 1964. Muhammad Ali, known then as Cassius Clay, reacts to the crowd during his fight against Sonny Liston in Miami Beach, Fla., Feb. 25, 1964. 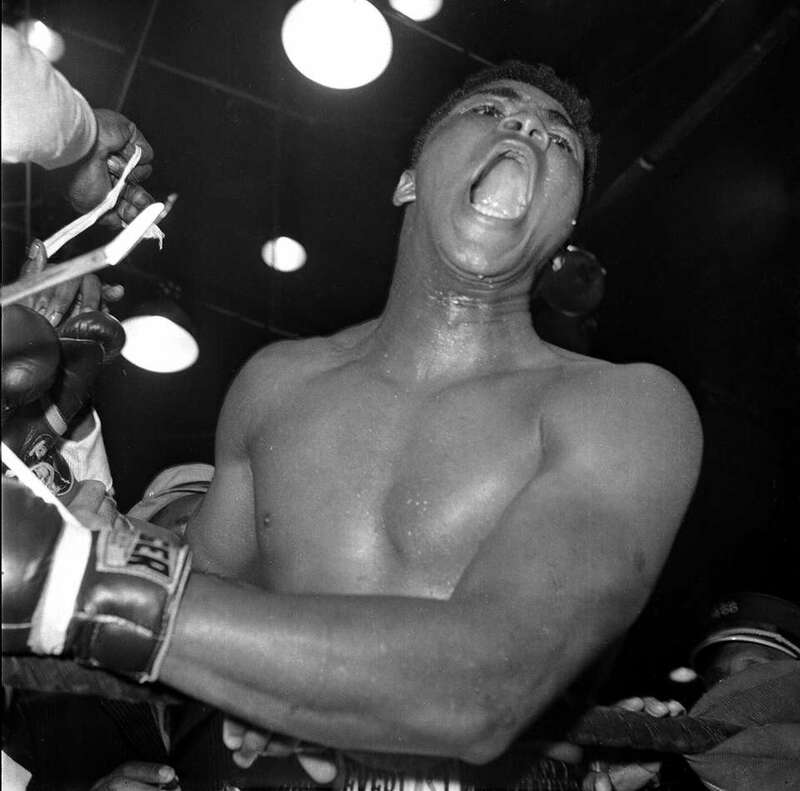 Cassius Clay after being declared heavyweight champion of the world at Miami Beach, Florida, February 25, 1964. Clay beat champion Sonny Liston after six rounds. 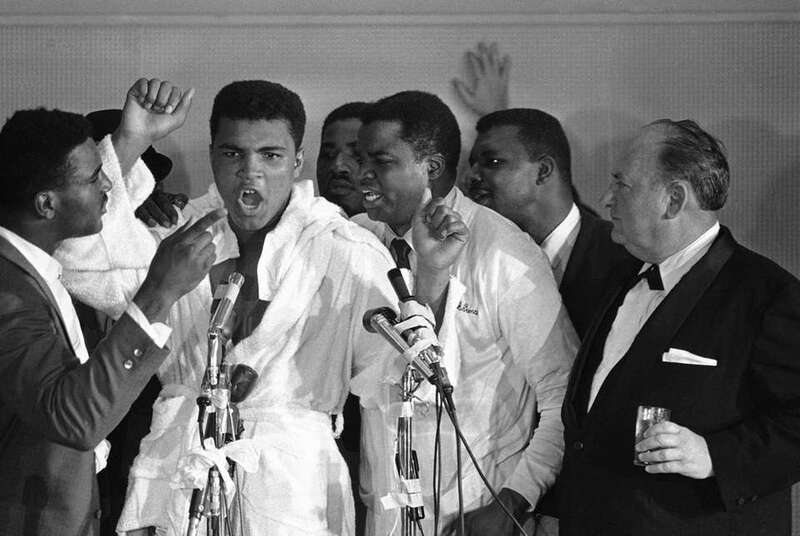 Never for a loss of words, Muhammad Ali (Cassius Clay) answers questions during a news conference after his technical knockout win over world heavyweight champ Sonny Liston in Miami Beach, Florida on Feb. 25, 1964. An unmarked and relaxed Muhammad Ali (Cassius Clay) poses for photographers at his news conference in Miami Beach, Florida on Feb. 26, 1964.